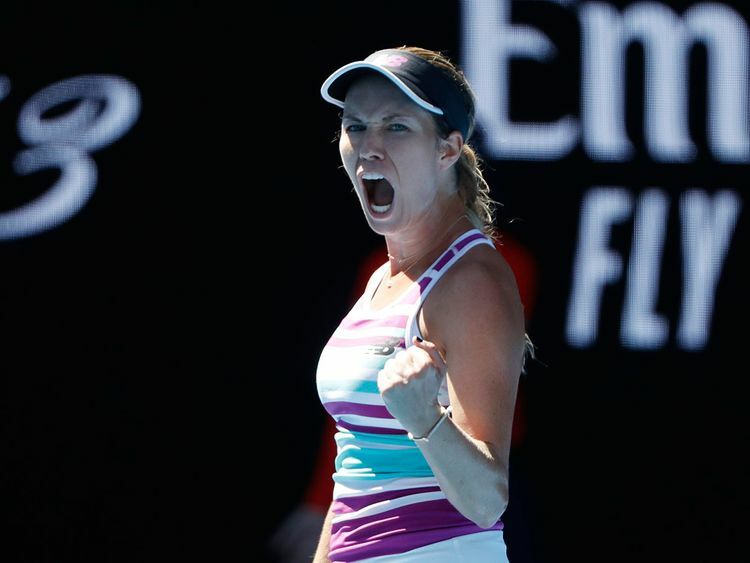 World number two Angelique Kerber was dumped from the Australian Open by unseeded American Danielle Collins Sunday in the biggest upset yet at this year's season-opening Grand Slam. Collins humiliated the German three-time major champion 6-0, 6-2 in less than hour to reach the quarter-finals on her debut appearance in the Melbourne Park main draw. The 25-year-old, who will meet either fifth seeded compatriot Sloane Stephens or Russia's Anastasia Pavlyuchenkova in the last eight, said she decided to "go after it and believe in my shots". "I go out fearless, I've been working so hard my whole life, I just give it my all and don't really think twice about it," she said. Before this year's tournament she had never won a match at a Grand Slam in five attempts and Kerber trounced her 6-1, 6-1 in their only previous meeting last year. "I may not have won a Grand Slam match before this, but I gotta tell you, I think it's going to keep happening," she said. "I hope to have many more of these."